You may not be thinking about cold weather during the summer, but fall is right around the corner! You’ve heard the expression “It’s never cold or rainy on the golf course,” but unfortunately that isn’t always the case. Most golf courses in Myrtle Beach are open year round, which means you will likely encounter the occasional chilly day with blustery winds and spitting rain. Skipping golf is not an option, but what can you do to keep warm? Warming up your body before heading out to the golf course is the first step in keeping warm. Most golfers neglect this step, but it is important, even when the day is pleasant. Before starting, try some stretching exercises, arm circles, squats and lunges and warm up those muscles to improve your game, no matter what the weather. Layer, layer, layer! Multiple thin thermal layers are the way to go before heading out on a chilly day. A wicking base layer, followed by a turtleneck, long or short sleeve wind shirt or vest are best, and can be peeled off one at a time if the day warms up. Also, zip off pants are a great idea…lots of times the course is frosty in the morning but by noon you are roasting, so these allow you to go from long pants to shorts in a jiffy. Don’t forget your hat—an uncovered head makes for a huge loss of body heat. There are even hats available that have earflaps with pockets for hand warmers! Also available are mittens that fit right over your golf glove, making it easy to keep those hands toasty between shots. You also might want to invest in golf boots that are especially made for inclement weather and soggy conditions on Myrtle Beach golf courses. Now that you’ve gotten your body warm, what about your golf equipment? First off, make sure to store your clubs and golf balls indoors. Hitting a cold golf ball can be like hitting a rock, so you may even want to wrap a few balls in a towel with some hand warmers and change balls on every hole. Your game can’t help but be negatively affected by using cold equipment…so keep it warm! 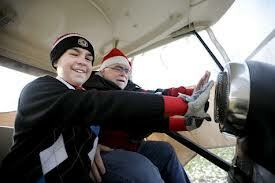 A golf cart is a must for a cold, blustery day, and there are many ways to keep it warm. First is to use a golf cart cover, which can be snapped down to keep out the wind. Many types of golf cart heaters are available, and they are great for heating up a small space quickly and efficiently. For the ultimate in warmth, pick up a battery operated seat warmer to toast your buns between holes! Hand and foot warmers, a thermos of warm soup or a flask of hot coffee, tea or other warm beverages are other ways you can keep warm on the golf course. Be prepared for every contingency when you head out to play 18 holes. Don’t travel to Myrtle Beach for a golf vacation and get frozen out of the fun because you don’t have the necessary items! Most golf courses in Myrtle Beach are open year round, which means you will likely encounter the occasional chilly day with blustery winds and spitting rain.